How wellness & fitness technology is changing lifestyle of fitness conscious client? In the new era of fitness and wearable technology, offers fitness professionals advanced tools to coach and motivate their clients like never before. With new health applications promising to help inspire users towards better nutrition, taking extra steps, and burning more calories. Can wellness and fitness technology help coaches and trainers scale their business and increase client accountability for the long term? - The big question in the fitness world still remains. The answer to this question lies not just in the wearable devices and apps, but in the way that savvy fitness professionals will create coaching environments where the data becomes the disciplinarian. As trainers begin the transformation into digital health coaching, future clients will bring higher expectations for time-sensitive lifestyle feedback that will point them towards a healthy life. This is a clear advantage for the fitness professional because as the usage of smart phones and wellness & fitness technology rise, so will the need for education and specificity around why and how to use it. The current global market for wellness and fitness wearables is growing much faster than expected. With such technology, fitness trainers can gain more control over what they see and therefore how successful their clients are. With the fitness wearables, fitness trainers can track what their clients do outside of their sessions or keep them excited during workouts; with online training platform, fitness trainers can keep their clients engaged & motivated and track daily activity progress week over week. Wearables are all the trend these days, and their effects of cumulative influence are expanding the fitness world. Enhanced by technological advances in accelerometers, which are sensors that detect motion, speed, direction and other health stats, these fitness-tracking devices have become catalysts for understanding how we disburse energy, and how we communicate that understanding with other technology. Wearables aren't just stat-crunching calculators that we activate and forget about – they are interactive, connected tools that change the way we exercise. It allows users to access their data, track progress, save workouts and utilize preferences, all with the click of a touchscreen button. Beyond simply counting steps, distance, heart rate and the number of hours slept, nutrition, and set goals for them, they are now positioning insights for trainers in corporate wellness programs to offer much more detailed and insightful analysis of activity and health. 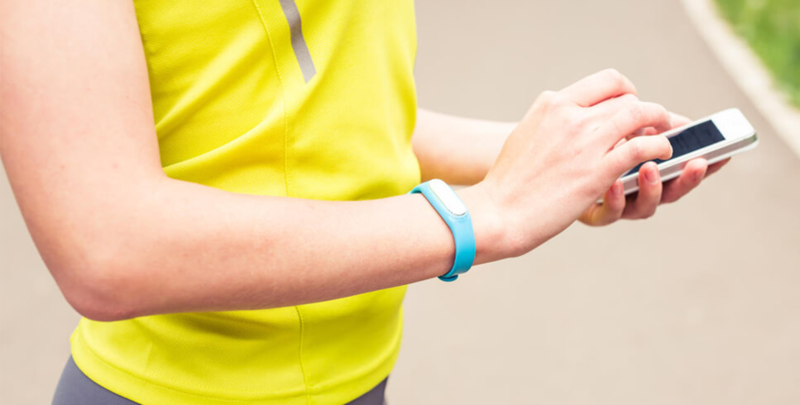 Wearables are not only connecting us to technology while exercising, they’re nurturing an environment in which a variety of technologies can communicate and interact with each other – for the benefit of the user. SimplyLoose works with a cross-section of large employers, payers and other channel partners, such as Fitbit, Jawbone, Fitbug, Fatsecret, B.O.L.T, Sotera-Wireless, Garmin, iHealth, Wahoo, Runkeeper, Terraillon, Thomson, Medisana-Made for Life, Withings-Inspire Health, Qardio, Mio Global, Moves, A & D Medical, and much more... to empower their members and improve outcomes. Everyone is so different and it does need different workout periods and different recovery periods. Heart rate based fitness training and zones is a great way to slash your clients, and it can add an element of science to your schedule. The most common issue with clients – is that they do most of their sessions within a very small range of effort. Without heart rate monitors, it is difficult to spot, when clients are doing at the right - or the wrong - intensity. Assigning clients a target heart rate and asking them to stay within that range for the entire workout session—or a period which you allocate, is the more effective way. This challenge will trigger even the least competitive clients because it’s substantial. Clients that you think would be responsive to this sort of challenge, make it a regular part of your sessions, if you they are competitive. Heart rate is all about benchmarking and patterns. Training by heart rate keeps your effort constant and lets you see the true effect of your strategy. The SimplyLoose platform makes it easier to do what you do best, whole week, rather than the time you spend face-to-face with clients. With the help of SimplyLoose platform you can deliver custom workouts to your clients, deliver prescribed diet plan, help clients track nutrition, workouts & fitness targets, set nutrition goals and see how all your clients are managing their fitness goals. Ask your clients to register from your SimplyLoose website and get an access to sign up in the SimplyLoose App as a part of their training plan, so they can take their diet plan, exercise schedule, etc on the go. It is quite essential that they remain logged in every day to track whatever fitness goals you have decided to work on together. Clients can track their daily activity, workouts, nutrition, fitness targets, and more with the SimplyLoose App. It keeps them engaged and motivated always, by seeing data that they might not track otherwise, such as calorie intakes, water intakes, heart rate, sleep, steps, workouts completed, body stats and performance graphs. As a trainer, when you subscribe any online training platform, cost can be a factor, if you have a small business size that is you are training just one or two clients a month, you don't unnecessarily need to pay for a plan with a large number of clients. For such case, Google Sheets are the best option. Because, Google Sheets make your data pop with colorful charts and graphs. Access, create, and edit your spreadsheets wherever you go — from your phone, tablet, or computer — even when there’s no connection. It saves you time and simplify common spreadsheet tasks. All for free. This is accessible to any client with a Gmail account, you just need to share it with your clients to bring them in on the training program planning process. When you create a new training program for a client, they can have a look over it right from the app. They can add and share their own diet and exercise schedule along with you. In addition, they can make changes in your assigned schedules, which gives them a sense of possession that leads to greater success. You can stay in regular touch with clients through weekly emails, giving them tips for improving their lifestyle, building healthy habits or ways to be healthier when they are outside of your sessions.